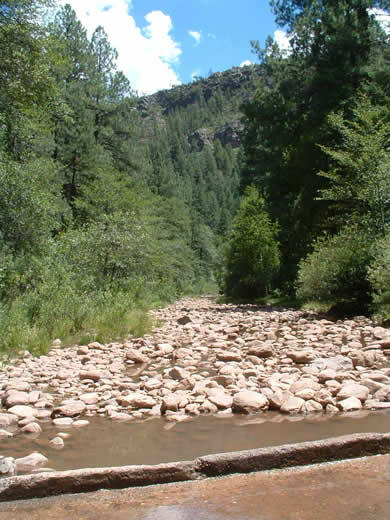 Set below the Mogollon Rim just off of S.R. 260, Christopher Creek Campground has 43 units that are on both sides of Christopher Creek. The main campsite is first come first served only. A group campsite holds 25 people and is by reservation only. Christopher Creek is stocked with rainbow trout early in the year as waters tend to recede throughout the summer months. Three swimming holes offer a way to cool off when the temperatures get a little high. Both Woods Canyon Lake and Willow Springs Lake are a short 10 minute drive east on S.R. 260 plus you don't want to miss the views from the Mogollon Rim There are several viewpoints along FR300 heading back towards Woods Canyon Lake. Canyon Trailhead is approximately 3 miles east of the campground and provides access to the Highline National Recreation Trail. The town of Christoper Creek lies just east of the campground. Just follow the signs along the road. There is a small bar to quench your thirst and a couple of restaurants if you tire of camp cooking. Reservations are only accepted at the group campground, the rest of the campground is first come first served. From Payson, travel east on S.R. 260 21 miles. 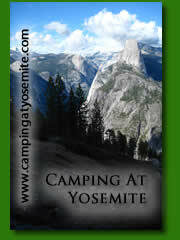 Look for the sign on the newly built stretch of Highway 260. turn south into the campground.